Boy…where to begin? 2011 was wall-to-wall with sterling examples of cinematography at its finest, and it was very hard to narrow this field down to seven. 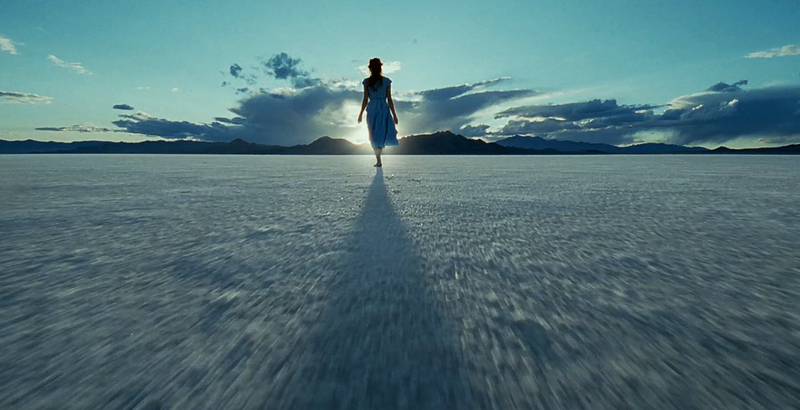 As I said in my Top-Ten List, Emmanuel Lubezki’s work on “The Tree of Life” is the best I have ever seen in a motion picture. It’s a film filled with tons and tons of imagery that rapidly comes and goes, but one could freeze-frame on any second of the movie and the resulting piece of art would look exquisite on one’s wall. The way Lubezki plays with space, shadows, depth, and light (most of it natural) is particularly notable. The opening sequence of “Melancholia,” in which Manuel Alberto Claro captures a visually operatic vision of the world’s end, is just as strong; it could be released on its own as an avant-garde short and I probably still would have found room for it on my top-ten. The rest of “Melancholia” is shot hand-held and impulsively, but Claro makes better use of that format than most cinematographers, allowing the viewer to simply sink into the experience as a fly-on-the-wall observer. 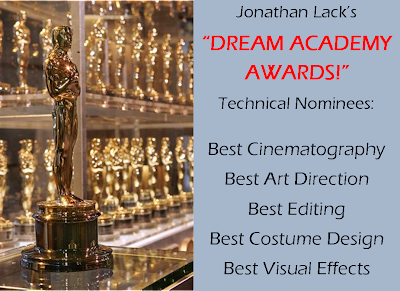 I had to push this category out to eight nominees, and even then, I left out a few films I felt very passionately about. 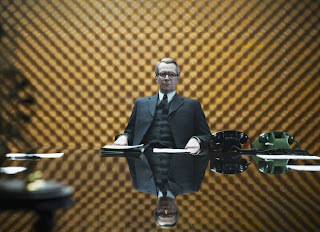 2011 was simply a superior year for production design. Rick Heinrichs did a tremendous job bringing a stylized, Spielberg-esque vision of WWII America and Europe to life in “Captain America,” and Bo Welch’s work creating the wonderful world of Asgard in “Thor” was even more awe-inspiring. Stuart Craig has deserved this Oscar several times for the Harry Potter franchise, and blowing up Hogwarts in “Deathly Hallows Part 2” was a glorious final tribute to the many iconic sets and locations Craig has created over the years. Moving away from fantasy, Anne Seibel’s romantic vision of 1920s Paris in “Midnight in Paris” was simply exquisite, a visual feast that made nearly everyone who saw this movie clamor to travel to France. Maria Djurkovic’s detailed and imaginative design of “The Circus” – i.e. 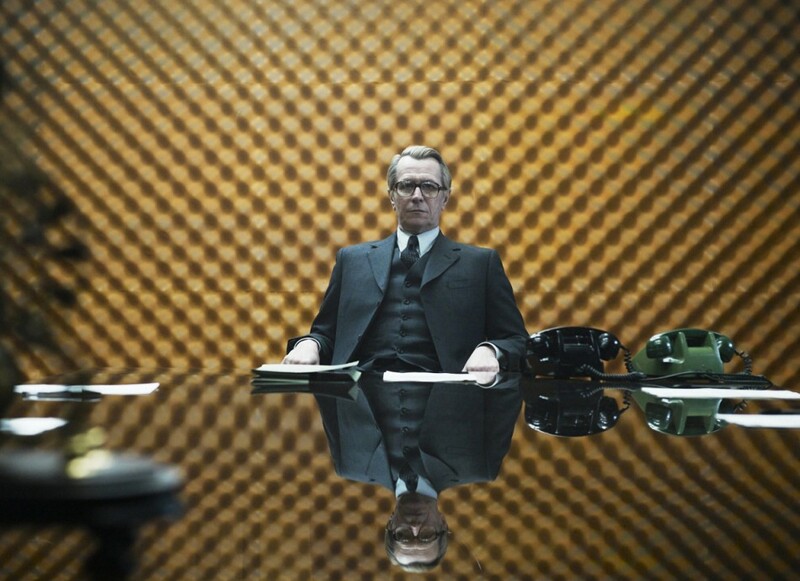 MI6 headquarters – in “Tinker Tailor Soldier Spy” blew me away; for dead-on period accuracy, though, Jack Fisk’s meticulous art direction of “The Tree of Life” is hard to top. Few others will probably consider Judy Becker’s work on “We Need to Talk About Kevin” in this category, but it’s a wholly deserving nominee; the art direction of this film informed the film’s thematic material at every turn, including an explicit recurring motif of the color red that is impossible to forget. And finally, Daniel Ferretti’s creation of a fantastic Paris train-station in “Hugo” goes down as one of the great triumphs of production design in modern cinematic history; every nook and cranny of this world felt alive, palpable and exciting and absolutely awe-inspiring, and even more impressive, it held up under the intense scrutiny of three-dimensions. This category represents some exquisite examples of editing, ranging from the wondrously experimental to the quietly, subtly impressive, and much that is good in between. On the experimental side, “The Tree of Life” and “Beginners” both use a rapid, stream-of-conscious editorial style, and both pull it off beautifully. “Beginners” is a little bit messier, but it’s supposed to be, and Olivier Bugge Coutté quickly establishes a rhythm that informs how we look at the characters and their lives. It’s no surprise that “Tree of Life” took five editors to put together, but it was certainly well worth the effort, and no other film this year relied so heavily on editing to bring the director’s vision to life. 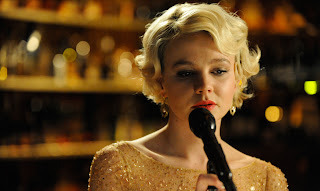 On the quiet, subtle side, we have “Drive and “Shame.” In the latter, Joe Walker exhibits remarkable patience, cutting only when absolutely necessary and reminding us that more editing doesn’t necessarily equal better editing. In some ways, it’s a throwback to the old-Hollywood editorial style. Matthew Newman’s work on “Drive” is nearly invisible, but that’s what makes it so remarkable: the measured methods he uses to structure each scene draw us into the film and definitely play their part in building tension and increasing the impact of the violence. In between those two extremes lie the other films. 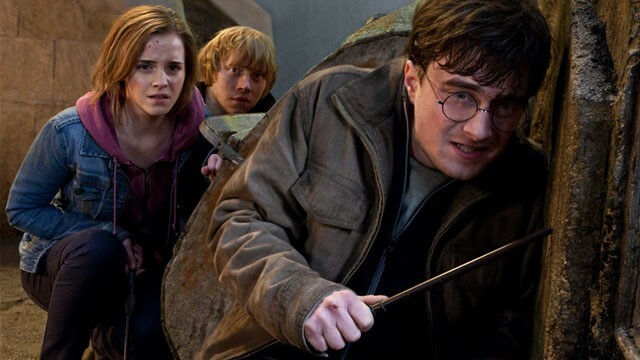 Mark Day has always done fantastic work on the Potter franchise, and thanks to the vast combat landscape of “Deathly Hallows Part 2,” he had more balls to juggle than ever before. Yet it all comes together with the utmost clarity, and is the blockbuster editing achievement of the year. 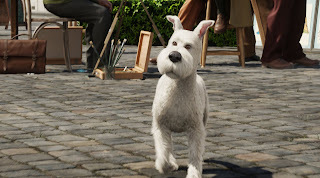 In “The Adventures of Tintin,” veteran editor Michael Khan does expectedly fine work throughout, but what elevates it to (Dream) Oscar status is the number of wonderfully inventive cuts and transitions that would be impossible in live action and contribute greatly to the film’s fun and exciting atmosphere. 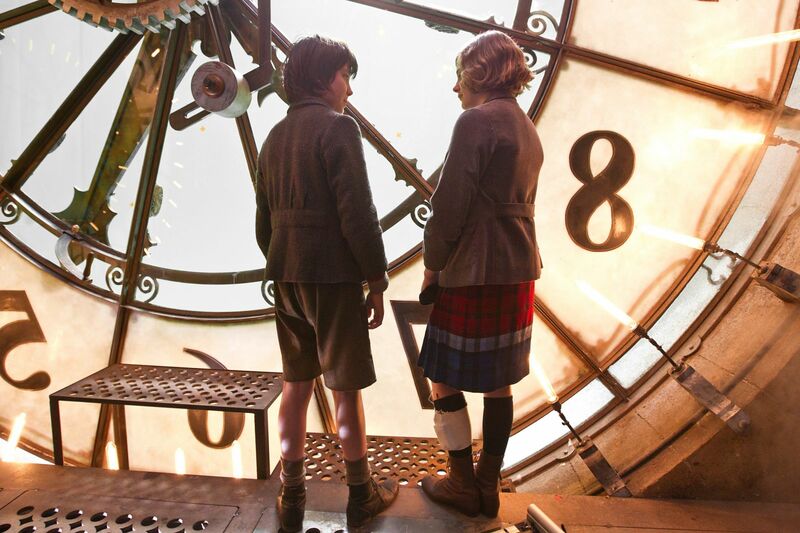 Finally, “Hugo” is another film that, while not an obvious editorial triumph, belongs in the record books upon further consideration. So much of editing is about creating a clear sense of time and space, and given the complexity of the film’s setting and director Martin Scorsese’s visual ambitions, what the great Thelma Schoonmaker pulled off here should be praised and exalted. All of this work is so strong, I have no idea who I am going to give my (fake) Oscar to come February. Here’s a category that often frustrates me more than the others in the real Oscars. The Academy tends to give this award to period pieces based on historical accuracy, and though those films do often feature impressive costume design, I’m more interested in looking at how the costumes inform how we look at the characters and setting. For that reason, Erin Benach’s work on “Drive” really blew me away; the costumes tell us so much about the personalities, ambitions, and lives of the characters, and are wildly stylish to boot. 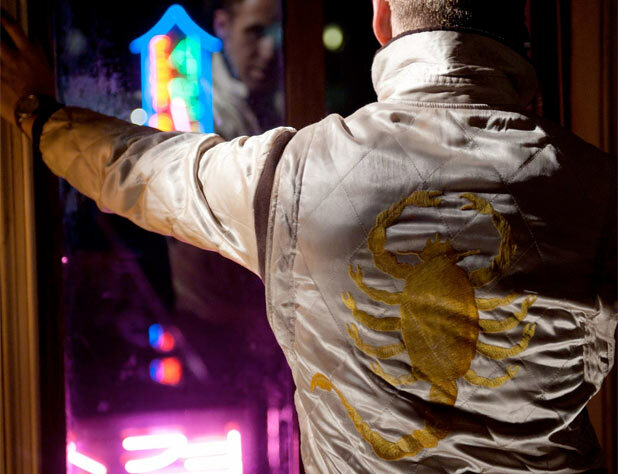 More importantly, Ryan Gosling’s Scorpion jacket has already become iconic, easily the grand costuming achievement of 2011. As with many of these Harry Potter nominations, Jany Temime simply deserves recognition for the amazing work she did across all eight films, bringing the clothing side of J.K. Rowling’s books to life. The costumes here are mostly holdovers from previous Potter movies, but they are very impressive holdovers, and Temime also chose some really great ‘Muggle’ outfits for Harry, Ron, and Hermione’s last stand. Similarly, Lesley Burkes-Harding struck gold creating colorful, three-dimensional digital versions of the costumes found in Herge’s comics in “The Adventures of Tintin.” It may be animated, but that doesn’t lessen how much the costumes contribute to bringing these classic characters to life. Many of these other nominees are period pieces, but again, I’m not focusing on who had the most accurate or lavish formal wear, but who created costumes that feel like authentic, invaluable parts of the film’s mise-en-scene. Sonia Grande’s work on “Midnight in Paris” fits that bill – and she had to straddle two time periods, after all – as does Jacqueline Durran’s on “Tinker Tailor Soldier Spy.” “Captain America” is a more stylized picture, but that makes Anna B. Sheppard’s achievement all the more impressive: her costumes help to establish a necessary layer of realism. The film also deserves extra credit for designing a version of Cap’s superhero costume that doesn’t look entirely ridiculous. Sandy Powell’s work on “Hugo” is similar to “Captain America” in that it gives weight to the fantasy, but each costume is also impressively tailored for shorthand character development; contrast Hugo’s ratty clothes with Isabelle’s nice ones, and you see much of what you need to know about this unlikely friendship. I can’t find online exactly who to credit for this category, so no names; if someone working on these films is somehow reading this, you know who you are. As in most visual effects races, I’ve filled this category mainly with blockbusters. “Transformers: Dark of the Moon” contains the usual perfect animation of the title characters, but more impressive is the part-practical, part-CGI effects used for the climactic hour-long set-piece. I don’t know if any cinematic experience in 2011 was quite as visually breathtaking as watching the Transformers decimate Chicago. “Hugo” and “Thor,” meanwhile, feature less obvious but no-less remarkable effects, effects that flawlessly bring their elaborate production design to life. "Captain America" is here for many of the same reasons, but is even more impressive for how flawlessly the effects team turned buff, tall Chris Evans into a skinny, 90-pound shrimp for the first act of the movie. “Rise of the Planet of the Apes” brought motion-capture technology to bold new levels; the apes looked 100% realistic at all times, allowing performers like Andy Serkis to let their imaginative acting run wild. Harry Potter gets another send-off nomination here, since the effects in “Deathly Hallows” were absolutely the finest, most seamless of the entire series. Finally, we have a film that is decidedly not a blockbuster, but completely deserving of effects recognition: for the creation of the Cosmos scene in “The Tree of Life,” director Terrence Malick brought legendary special effects guru Douglas Trumbull out of retirement, and using mostly practical techniques, Trumbull created one of the most visually lavish sequences of 2011. This time in the MUSIC and SOUND categories!